IN BIGGER economies reports should start circulating at around this time with details of the Christmas and Holiday shopping spends and trends. Theirs being consumer economies with computerised systems and strict record-keeping habits pushed by regulatory authorities such as tax collectors, the statistics are in most cases easy to gather. Where they need to make estimates the figures are fairly reliable because of the manner in which they run polls and other forms of research. The reports will tell us what items were most popularly bought or given as gifts, what items attracted the most spend, and what categories of items was found most popular. In addition, they will tell us what one mode of shopping or spend may have superseded the other and for what reasons. These reports on their own are not the important element – they are supposed to be read along with the forecasts issued ahead of the holidays, predicting what the trends and statistics will be. When one reads these spend and trend reports and compares them to the forecasts, one gets a general picture of how accurate or reliable the forecasts are, and can therefore take more of an interest in them later this year. And there, ladies and gentlemen, is where opportunity lies. If our statisticians and economists started crunching these numbers with seriousness, then the entrepreneurs amongst us would probably do better in coming days and months. Say, for instance, that it is discovered that it is not true that at Christmas we traditionally buy gomesis for our wives and whisky for our valued client contacts. If, instead, the reports show that we are spending more on fiction fantasy books as gifts during Christmas, then the wise entrepreneur will immediately embark on stocking up on these books for December, and will market them immensely to build on the already existing interest. Before December, though, the statisticians and economists can help us prepare for the next holidays coming up – be it the January Liberation Day or the Easter weekend. What should we invest in? Where should we place our eggs? What should we focus on to get a piece of the season spend? Plus, what should we manufacture or create? Did any Christmas Cards get sold in Uganda during the last season? How many and where were they distributed? Perhaps if we get this information we will start designing our own Christmas Cards for distribution this year. Closer to home, if the statisticians and economists at the district level also put some information together then maybe we would be in a position to identify these opportunities right in our original home areas. How many people visited which districts or villages and what did they do there? If you knew that 5,000 people retreated to your Village last Christmas and are likely to return in larger numbers this Christmas, again opportunity abounds. There is a lot to be said about information and the way we put it to use, and not enough done about it. Our Bureau of Statistics doesn’t do a bad job of compiling and releasing information but they do provide it in a format that the ordinary entrepreneur most certainly finds confounding. Even I am not very clear what that means for my business plans, so Sula the Rolex chap who should be finding a way of increasing his Rolex sales during holiday seasons by taking advantage of the euphoria then, has no hope. The Index Report, though, does provide a lot of detailed information that cleverer chaps than myself could and should extract and fashion into packets that can empower the ordinary person on the street, along the lines of that commonly used phrase; ‘Information Is Power’. Last week I was the gleeful recipient of a Christmas hamper, sent to me by a generous government agency office I have official dealings with. This agency is quite efficient at what it does and is therefore useful to our national development by way of its ordinary course of business. 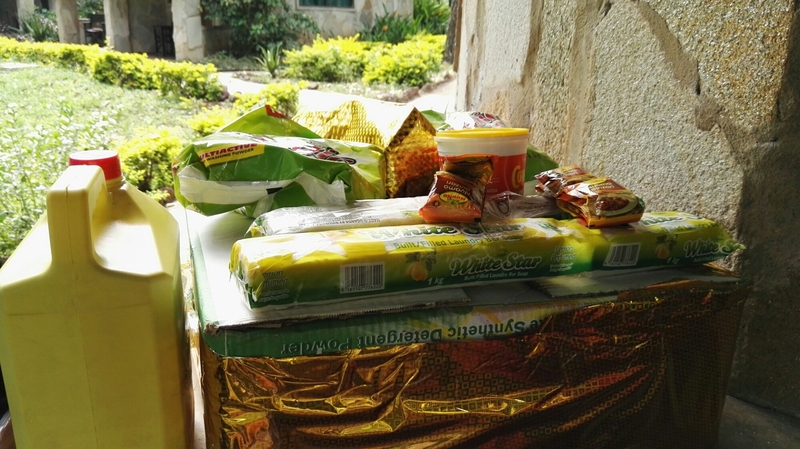 As I studied the hamper presented to me, I knew that the cost of all the Christmas hampers this agency distributed this year could not be so significant as to warrant the attention of any but the most nit picky amongst us. My heart sunk as I unwrapped the cellophane, and all the good cheer left me just as lots of money had left Uganda in exchange for the honey, chocolate, wine and coffee in the basket – which basket itself also appeared to be foreign. The agency in question here normally hosts me for meetings about once a month, and I am always loudly insistent on being served coffee and tea grown and packaged in Uganda, accompanied by biscuits of local origin. For them to be crowning the year by presenting me with Arabian honey was a clear affront to me, and I wasted little time before calling them up to clarify the messaging intention of the gift pack. Their genuine apologies ended with a pledge that they would conduct a seminar for their procurement people and suppliers, ensuring that next year they buy Ugandan at every opportunity. Christmas gift shopping is a major such opportunity. In a year when we have seen the shilling sinking into a quagmire that needs shoveling by increased production for export, the least we can do is buy as much as we can locally as individuals and organizations – every day. If all of us do our Christmas shopping at the craft markets, and wrap our gifts in locally made materials, sending them across with cards made in Uganda, then spend the season feasting strictly on traditional dishes cooked out of food from the gardens closest to our kitchens, this economy would change even faster. And if that attitude were carried on into the new year, then as we return to our offices we might introduce policies that have us serving strictly local products at our meetings, and procuring only t-shirts designed and made in Uganda, to be distributed in baskets woven by local women and youth in the countryside, and all decisions made sitting at furniture designed and made by Ugandan carpenters. It is never too late to make these decisions and implement them; focusing strictly on Christmas shopping, if you haven’t bought gifts yet then consider avoiding the crazy last-minute city or town traffic just to buy some ‘Made In Elsewhere’ items, and go down to the closest market then buy a year’s supply of fruit or vegetables for your loved ones. This year I bought someone some months’ subscription to The New Vision and his joy after receiving the first surprise copy and working it out still rings loud in my ears – though may not be as fulfilling as my own at having spent that money supporting the salary of someone here, and shareholders in my vicinity, while adding a small prop to an industry I care about deeply. It is not too late – spend your money here and make a small change that may also translate into some long term change that our children’s children might benefit from, more than the children’s children of people in far off lands.